After the 21st century tetralogy of cinematic obscurities, let’s take a few more steps back in time when MTV was still about music and have a look at 25 marginalized films from that period. Each year of the 90s is represented by at least two titles and once again, diversity is one of the primary criteria. “They will never know they are wandering through the corridors of my brains.” – says the (anti?) hero of this hermetic post-apocalyptic fantasy, as he addresses the expedition looking for so-called “stelinskalt” – an artificial source of “Oreon” energy. The titular islands are the only place where this “androgynous stone” can be found and where the borders between hallucinations and reality are non-existent. Set in the disorienting world of “perpetual red night”, Ossang’s sophomore flick looks like a child of the German Expressionist and La Nouvelle Vague films, with post-noir as the surrogate mother who read dystopian and adventure novels during her pregnancy. Its story reminds of a fragmented nightmare which is impossible to decode, whereby its mentally unstable characters are the victims of existential void or rather, the “doppelgangers exiled from themselves”, whatever that means. The film’s forte lies in the brilliant cinematography of Darius Khondji who will later collaborate with prominent directors such as Jeunet, Fincher, Bertolucci, Polanski and Haneke, amongst the others. Married to electro-punk-rock score by the author’s band Messageros Killers Boys, the bleakly attractive visuals puzzle and mesmerize the viewer. Piavoli’s feature-length debut could be labeled as “a road movie for the soul”, just like Francisco Athié’s “Vera”. Inspired by the Odysseus myth, it focuses on a warrior, Nostos, who attempts to make his way home after the war. 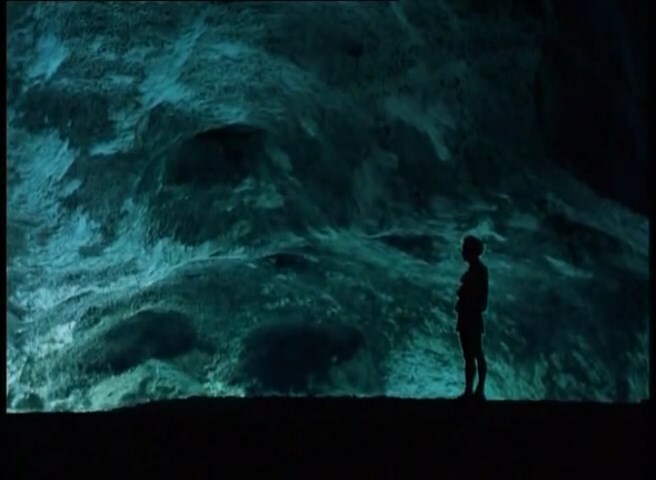 However, he ends up a castaway on a ravishing Mediterranean island and finds himself on the path of self-cognition, face to face with the turbulent past. Similarly to the previous list entry, it’s impossible to determine where the dreams take over reality, as the hero’s vague memories (of homeland, childhood and lost love) collide and intertwine with his agitated thoughts caused by shedding the blood of the innocents. Nostos’s wandering on the edge of oblivion is turned into an audio-visual poem – obscure, hypnotic, soothing and nostalgic. By reducing the dialogue (in Ancient Greek, btw) to a bare minimum, Piavoli directs our attention to enthralling imagery accompanied by ambient sounds and lavish neo-classical music and thus, he lulls us into a dream state. Foamy waves, bristling rocks, intoxicating greenery and secretive caves dazzle us with their magnificence. What happens when high-brow art meets unadulterated fun? The answer lies within the hybrid and dialogue-free phantasmagoria by the famous Polish artist Zbigniew Rybczynski. 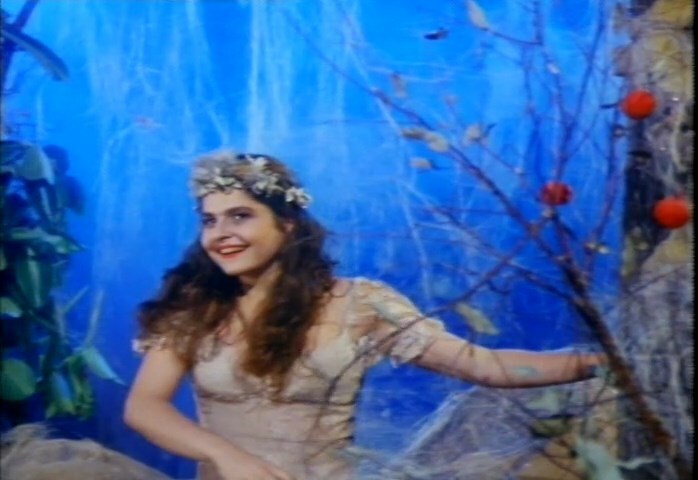 Composed of six loosely interconnected vignettes, “The Orchestra” starts with Adam and Eve throwing glances at each other in the Paris Opera House and ends in crimson red, at the top of Lenin’s stairs. Every sequence thereof is created through digital manipulation of live-action footage providing a peculiar amalgam of avant-garde music video, performance art and theatrical non-narrative film. It is witty, vivid, ironic, playful, evocative, provocative or, simply put, astounding. … especially if you’re Rustam Khamdamov whose career hasn’t been going smoothly, in spite of the praises for his short “My Heart Is in the Highlands”, by none other than Fellini and Parajanov. For example, the Cannes premiere of “Anna Karamazoff” is marked by the star Jeanne Moreau’s scandalous behavior caused by the director’s decision to include the survived footage from his first (censored and thought-to-be-destroyed) feature “The Unexpected Joys”. So, to this day, the film hasn’t been released on DVD and the only available VHS copy doesn’t do justice to its dark, idiosyncratic beauty. It recounts an episodic and allegorical tale of a middle-aged woman who returns to her hometown from a Stalinist concentration camp, only to realize she has no future there. Her encounters with eccentric and bizarre characters establish an abstract atmosphere heightened by deep shadows, dissonant music and fairy tale symbolism. And the “controversial” sequence adds an extra dose of outlandishness to already perplexing proceedings, portending the “Rabbits” sequences of “Inland Empire”. Multiple influences, from Russian classics to Alain Robbe-Grillet’s oeuvre, are blended into a surreal and enigmatic drama. If you watch “The Linguini Incident” before going to bed, there’s a good chance you will fall asleep with a smile on your face, given that it is one of the best (offbeat) feel-good movies out there. After grabbing your attention via the gleeful jazzy theme of the opening credits, it pulls you in the charming Daliesque interior of a fictitious Manhattan restaurant which plays a big part in the heist story of farcical proportions. Actually, each space is given the attention – the “small chaos” of the heroines’ vintage lodgings reflects their personality and efforts in making their dreams come true. 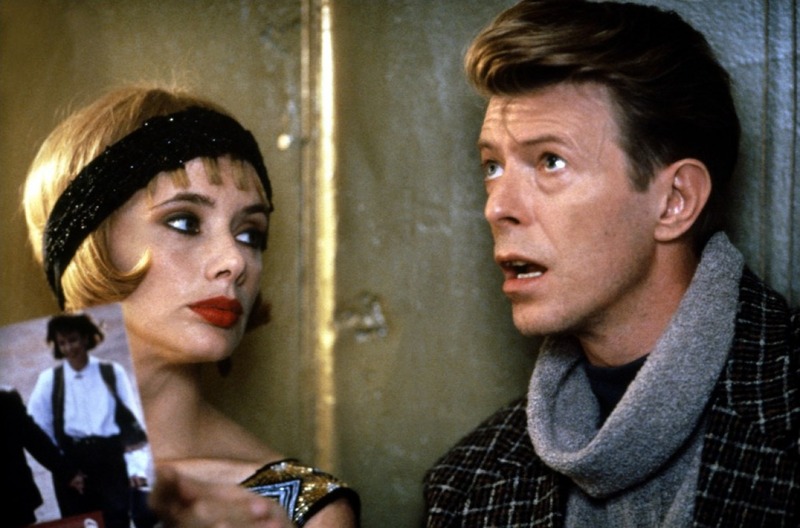 However, what’s even more impressive than technical paraphernalia is the weird chemistry between the irresistible, authentically eccentric characters, whether it’s the leading trio portrayed by Rosanna Arquette, David Bowie and Eszter Balint or the secondary ones, such as Marlee Matlin’s Jeanette. With an incredible ease, Shepard constructs something akin to alternate reality which is grounded in wry humor and catchy dialogue. His quasi-romantic crime-comedy is the cinematic equivalent of a freckled ginger-haired girl who enjoys splashing in rainy day puddles. Gory rituals and ancient legends meet Gnostic teachings in Richard Stanley’s unique and intriguing horror set in Namibian desert around the small town of Bethany. The titular antagonist portrayed by the brooding Robert John Burke is a primeval entity that – trapped in a human body – collects the lost souls in order to cross to the Other Side. In his own words, he is “just a midwife” whose job is to cut out “the spark of life” from the desperate, agonizing and suicidal wretches. Viewed through the prism of our limited knowledge and strict system of values, he is a serial killer or rather, a demon. Simultaneously, he emanates menace and melancholy, wisdom and weakness, apathy and sadness – rarely you meet a cinematic “villain” so complex and, in a way, captivating. 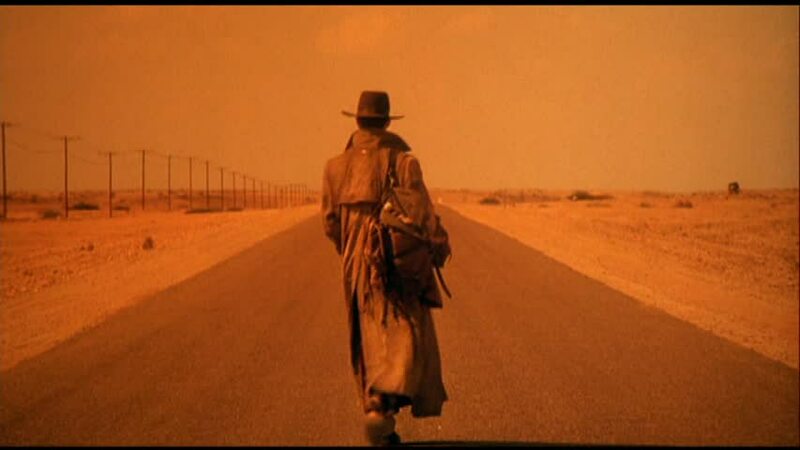 On the other hand, there are a few characters of our own kind to sympathize with, in case you’re not ready to accept Dust Devil’s perspective. Beside esoteric and metaphysical musings, Stanley delivers plenty of eye candy as well, making the most of the fascinating, fiery-colored locations. A haunting score and a surreal finale couldn’t be any better. Opening at a Gypsy funeral, “Manoushe” casts a spell on its viewer via the flamenco music by the late virtuoso guitarist Paco de Lucía. An old man lies dead in front of his darling who takes a stroll down the memory lane. As the camera focuses on her pendant, we go back to the (romanticized) past of an unspecified village where the story begins. A young girl from an upper middle class family falls for a multi-talented street performer, outraging her parents. After the love birds flee, the Felliniesque reality turns into a vintage fantasy that looks like a shoestring budget rendition of “A Midsummer Night’s Dream” as directed by Rafael Corkidi with Terry Gilliam’s mindset, on the outskirts of Jim Henson’s playground. Toying with archetypes and mocking bourgeoisie, Luiz Begazo – who, according to IMDb, hasn’t made another film since (and prior to) 1992 – demonstrates what can be done on limited resources. His odd mélange of “ragged”, boldly colored visuals, twisted humor and nonverbal communication works wonders. 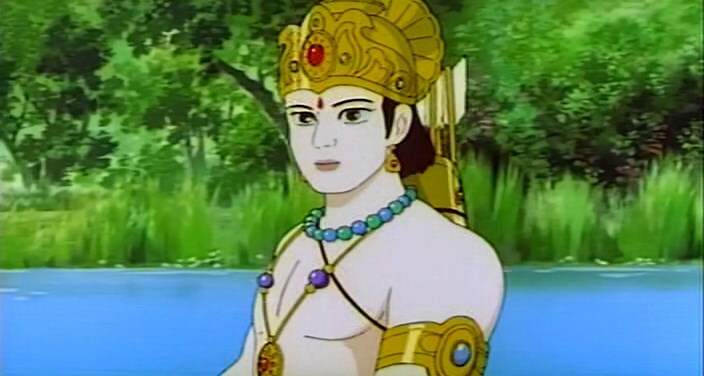 “Ramayana: The Legend of Prince Rama” is considered by many to be the most faithful adaptation of an ancient epic poem by the Hindu sage Valmiki. Even though the original tale is simplified in order to fit the 130-minute time-slot and to appeal to the wider (international) audience, this Indo-Japanese co-production still captivates. It speaks of the Kosalan prince Rama and his brother Lakshmana’s exile, his wife Sita’s kidnapping by the demon king Ravana and the resulting war involving Vanara (monkey) warriors, battles of colossal proportions and a few equally devastating duels. In a spiritual, larger-than-life fantasy adventure, the elegant old-school japanimation is seamlessly blended with the evocative traditional sounds of India to a great effect. Compared to other anime of the period, the artwork is unique and, thanks to Sakō’s meticulous research of the Indian culture during his “excursions”, quite authentic.